Drs. Dhaliwal and O’Shea and the entire Aberdeen Dental team understand the importance of a beautiful smile, and the value patients and society place on teeth that look as attractive as they are comfortable and functional. If you’ve heard the term “cosmetic dentist,” you may be wondering: “What Does a Cosmetic Dentist Do?” Our Vernon BC team is more than happy to explain the services and approaches that make us the office to turn to for not only preventive oral and gum health services, but also for elective procedures to beautify your smile. Cosmetic dentistry is not among the nine recognised dental specialties in Canada, but this facet of dentistry is very much a part of our practice. 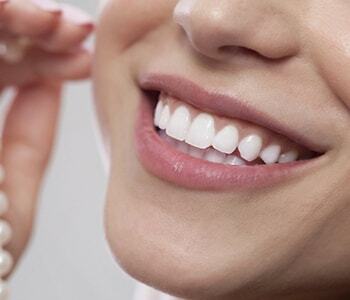 As your dental partner, we focus on preventing, detecting, and managing oral conditions, restoring your teeth and gums to health, and aesthetic improvement through cosmetic dental techniques. Clinicians may not always think of themselves as artists, but creating a smile that is both pleasing to the eye and natural, involves a strong artistic component as well as robust technical aptitude. Much of dentistry is a precise craft, which uses careful handwork, from relatively modest brightening to more extensive restoration of an entire dental arch. Dr. Dhaliwal refined her skills with advanced cosmetic dentistry training at the California Institute of Advanced Cosmetics, while Dr. O’Shea takes great pride in educating patients on many procedures that can be used to make over your smile, including Fastbraces cosmetic orthodontics and dental implants indistinguishable from natural, healthy teeth. Aberdeen Dental is pleased to warranty our work, which means we’ll do repairs promptly – no questions asked! Call (250) 545 3319 to schedule an appointment. If you’re new to the office, phone (250) 800-2664.